Be a patron of the arts! 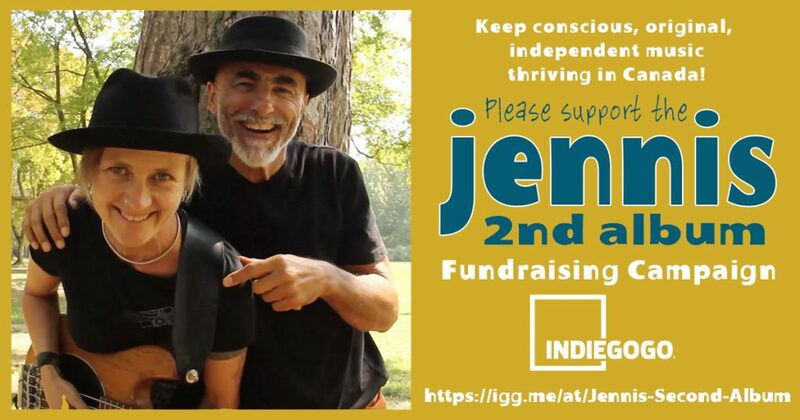 Jennis is ready to record our second album and we need your help to meet the budget required to bring in top-notch pros to make our sound compete on the world stage of roots music. We have launched an Indiegogo Crowdfunding Campaign which gives us the opportunity to offer fun and creative perks to those who donate. If you have enjoyed our music and performances, please show your support by donating any amount from $10 to $1,000 and enjoy one or more of the great perks we’re offering in exchange. Be a part of keeping independent, original, conscious music alive in Canada!